Uttar Pradesh Chief Minister Yogi Adityanath on Monday accused the Congress party of encouraging Mafia Raj in Himachal Pradesh. 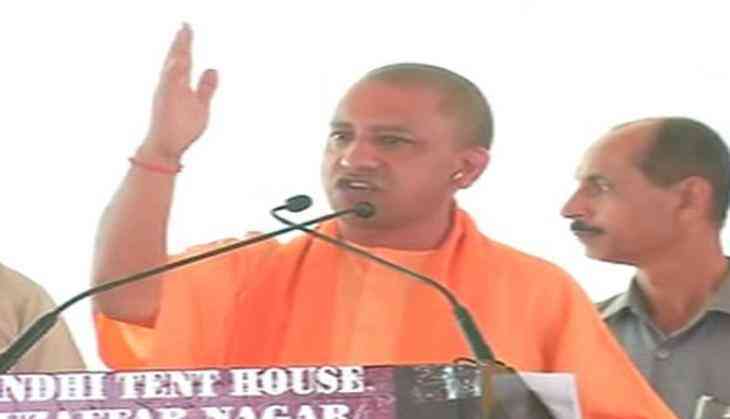 While addressing a rally at Solan here, Adityanath said, "Congress never cared for the state. Instead of giving a boost to tourism, medical facilities, and agriculture, Congress party gave a boost to mafias in the state." "Congress has already left the battlefield of Himachal Pradesh. The excitement in public ahead of the election has already proved their defeat. Now you voters will have to make Congress realise the power of your constitutional rights on November 9," he added. Yogi further said that it is important to uproot the Congress from the Himachal Pradesh to end the incumbent mafia raj. "If our sisters and daughters won't be respected here, then which Bharat Mata would we hail. These mafias, criminals who are enjoying the throne while playing with the honour of our women, should be in the prison instead of the government. To send them behind the bars, to give them the treatment they deserve, you need to bring Bharatiya Janata Party in the government," he said. The polling in the state will be held on November 9 in a single phase and the results will be declared on December 18. Former Himachal Pradesh Chief Minister Prem Kumar Dhumal has been declared as the CM candidate of BJP.